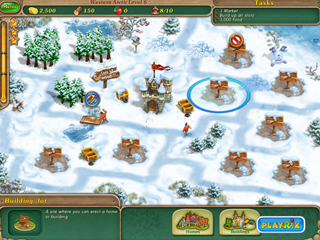 Help Cedric defend and save his kingdom over the course of these 4 exciting games available in one download for the first time! 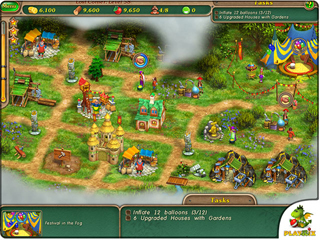 In the first Royal Envoy, you must construct and upgrade homes and buildings for island citizens and become the chief city planner of marvelous Islandshire. Royal Envoy 2 Collector's Edition, teams you up with Cedric once again and takes you on a journey to the faraway land of Middleshire! 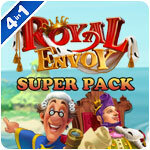 In Royal Envoy Campaign for the Crown Collector's Edition the monarchy is at risk! Someone wearing a black cloak broke into the royal palace and challenged the King's right to the throne. Help the King win the elections and defend the truth and justice in the kingdom! Finally in Royal Envoy 3 Collector's Edition, the HMS Islandshire is exploring the white spots on the map when they suddenly encounter new lands! Will the new lands be part of the Kingdom? Embark on an exciting journey to find the answer!